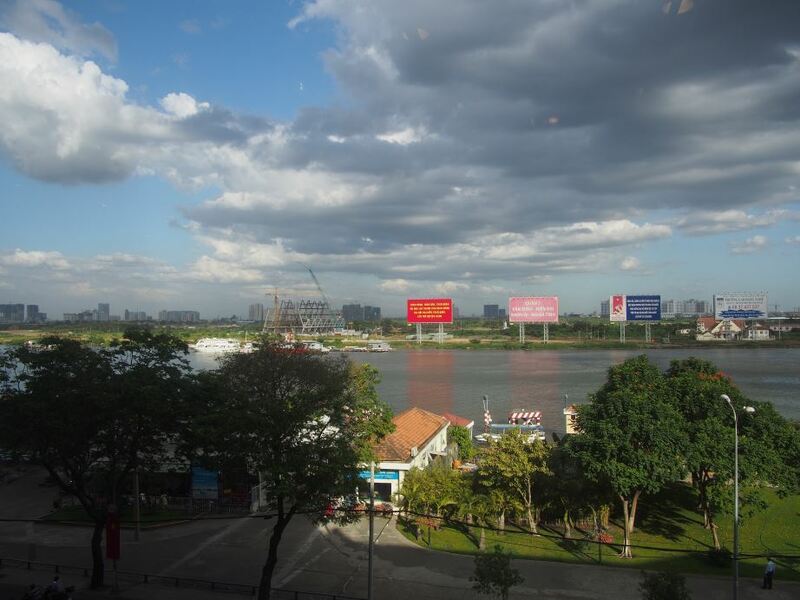 On the last week of January 2016 André, Noor and Celma attended an NWO workshop in Ho Hi Minh City, Vietnam. The meeting brought together, for the first time, researchers and PhD candidates involved in the Urbanizing Deltas of the World-I (UDW-I) call, and created an open forum for discussion on the content and on research uptake and stakeholder engagement. Unfortunately not everybody could join, due to visa issues, and that was also the case of our colleague Joaquim. Prof. Ho Long Phi opening the first day’s session. 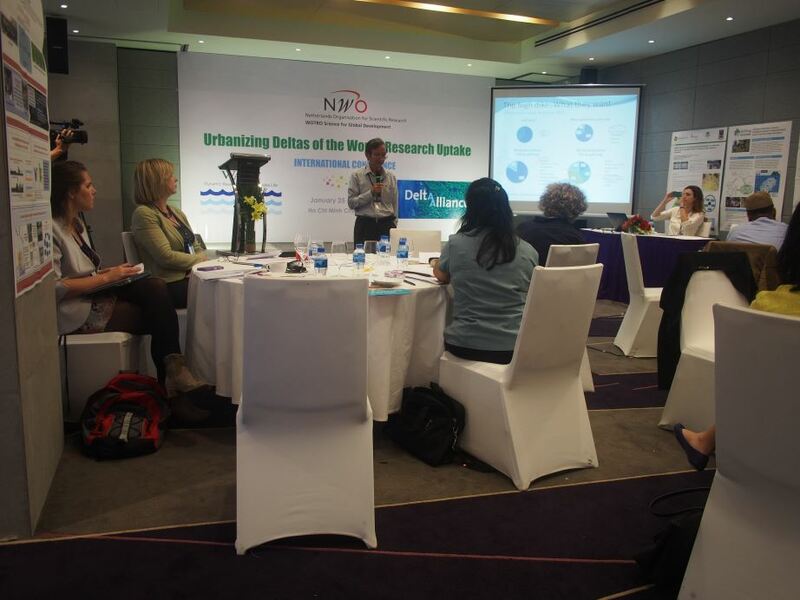 Day 3: Promote knowledge sharing between UDW-I projects and other relevant research and implementation projects (identified in the mapping) by facilitating face-to-face matchmaking sessions and by jointly discussing research uptake strategies. During the workshop hosted by WACC, a Department within Vietnam National University, we can only say great things about the venues and about the organization. The first day of the workshop was partially devoted to peer-review sessions with pairs of PhD candidates reviewing each other research proposal. Each candidate was asked to review a proposal of a candidate from a research area different from his/her own and this surely helped the candidates further realizing the importance of multi-disciplinary projects such as our own. A room with a view: the venues selected to host the workshop were top-class. On the two remaining days there was room for presentations and open discussion about stakeholder engagement and research uptake. Two of the highlights were the presentations about the Mekong Delta Plan given by Martijn van de Groep, and the presentation about the CARIAA programme by Michele Leone of IDRC. 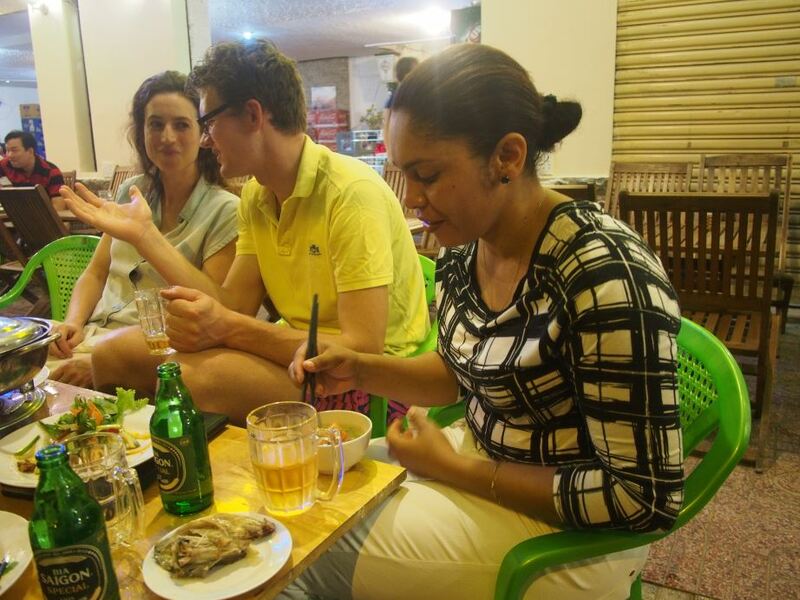 We also had the possibility to sample the delicious Vietnamese food and to experience a bustling Asian city. We are certainly looking forward to the future gatherings and to the possibility of further deepening our interactions with the other UDW-I projects. Noor sampling the amazing South Vietnamese cuisine. 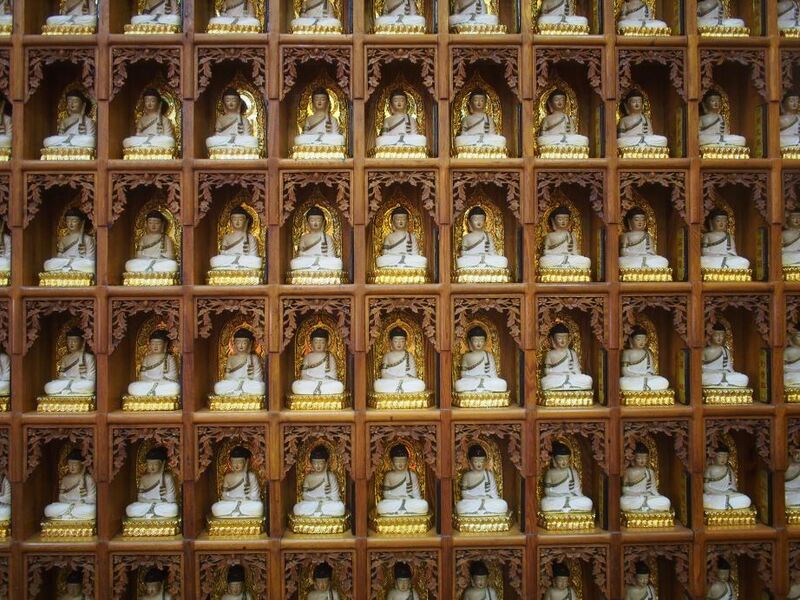 A Buddha-covered wall in one of the city’s Buddhist temples. This entry was posted in André, Celma, meetings and workshops, Noor, report and tagged Fipag, HCMC, Ho Chi Minh City, IDRC, maputo, mozambique, NWO, PhD candidates, sustainable, UDW-I, Urbanizing Deltas of the World, Vietnam, wastewater, water, water reuse, workshop by André. Bookmark the permalink.